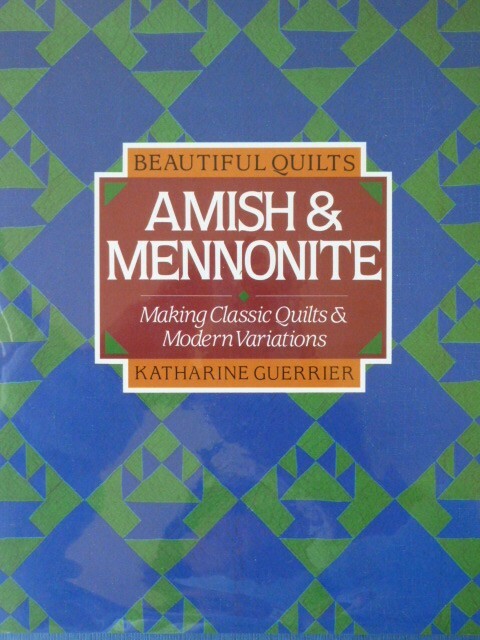 On Saturday night we visited Berkelouw’s Bookshop in Paddington in Sydney and I found this lovely secondhand book on Amish and Mennonite Quilts. I really appreciate their use of colour. I think my favourite is this Mandarin On-Point Nine-Patch. I can see myself making this is in Kaffe Fasset Fabrics. What do you reckon? I think it would be super in Kaffe! I love Berkelouw’s… never found a treasure like this there though! It is a lovely pattern and I am sure you could do it justice in any fabric you choose – I think using Kaffe!s fabrics would be a real zinger to an Amish quilt(very electric:)) Lucky book find, congrats on that too. I used to have a copy of this book! 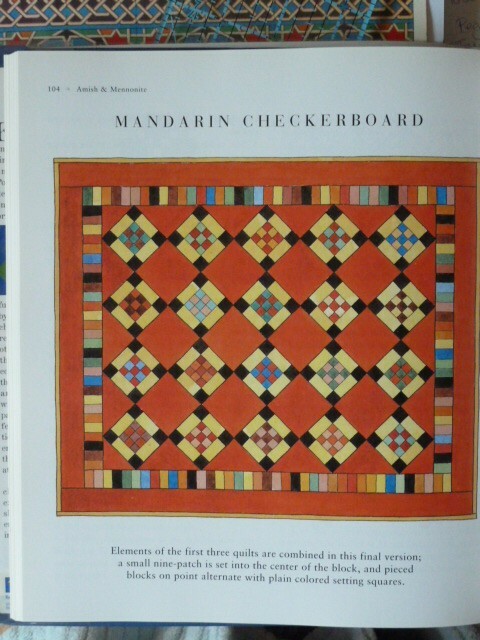 Its a good one and the colour of the images of Amish quilts is inspiring. Think this would translate well into Kaffe- I have yet to see much that doesn’t look good in Kaffes, its just a matter of which fabric to use really- but then you know of my love of Kaffe’s fabrics! !